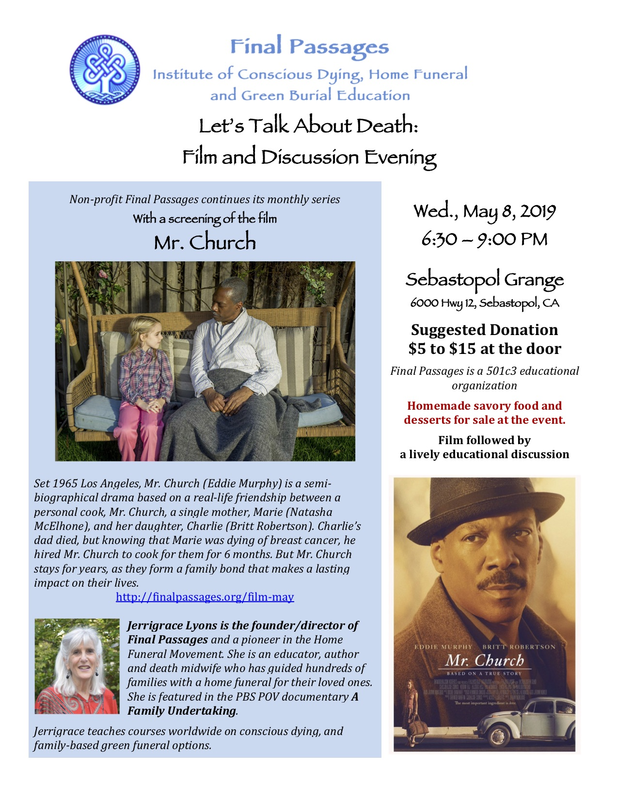 Local non-profit Final Passages continues its monthly film and discussion series, Let’s Talk About Death, with the May screening of the film, Mr. Church, starring Eddie Murphy, Natasha McElhone, and Britt Robertson. 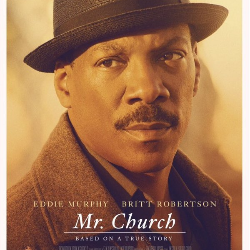 Set 1965 Los Angeles, Mr. Church is a semi-biographical drama based on a real-life friendship between a personal cook, Mr. Church (Murphy), single mother Marie (McElhone), and her daughter, Charlie (Robertson). Before Charlie’s dad died, he knew Marie was dying of breast cancer, so he hired Mr. Church to cook for them for 6 months. But Mr. Church ends up cooking for them for years, as they form a family bond that makes a lasting impact on their lives. Told primarily from the daughter's point of view, she knows little of Mr. Church, who is very private about his life and troubles. Come early to get your seat and enjoy home-made savory foods and desserts for sale at the event.